Two teams of 11 players (with a varying number of substitutions allowed in different competitions) compete in a soccer match. A match takes place on a 45-90m x 90-120m pitch and lasts 90 minutes (two 45-minute halves) – unless the competition format requires extra-time (two 15-minute halves) or penalties to decide the match. As mentioned above, the 1X2 market refers to the match outcome. A home win (1), a draw (X) or an away win (2) are the three available options – the only difference to Money Line betting is the draw (this is because standard soccer matches aren’t settled by going into overtime and simply end as a draw). Totals betting in soccer has nothing to do with who wins the match – it is simply betting on whether the number of goals scored will be over or under a figure set by the bookmaker. The totals market (often referred to as the Over/Under) usually refers to the combined total of goals scored by both sides, but individual team totals and first-half totals are also an option. Although soccer is inherently random and notoriously hard to predict – even for a bookmaker – historical performances and past statistics can help provide an edge in soccer betting. 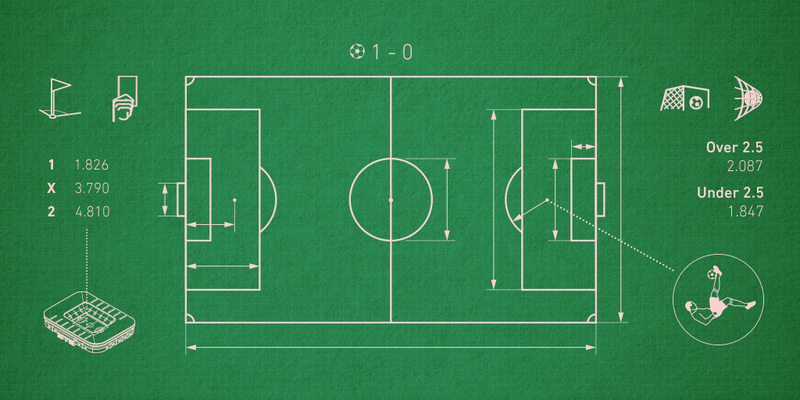 Whether you’re trying to predict a draw, betting on both teams to score or analysing expected goals, data can certainly be used to your advantage. 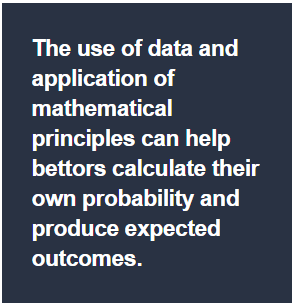 Double chance betting involves betting on multiple outcomes within the same match. 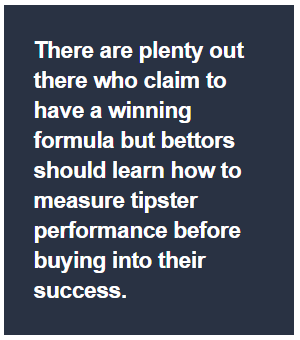 While it might reduce the amount of profit you would make for simply betting on a team to win, it also provides you with a profit for another match outcome – either a draw or the opposition win.